The greatest reason I’m successful is my network. But not for reasons you might think. I’m successful because I’ve developed a large network of individuals who think differently, who push the envelope, and who challenge my thinking. For those of you who don’t know me. 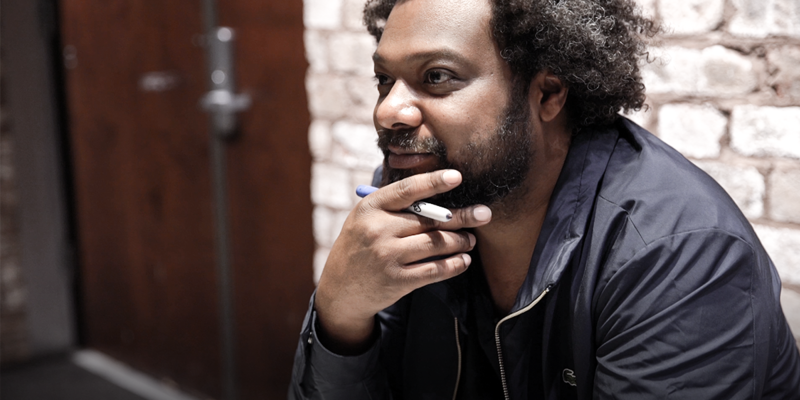 I’m Bonin Bough, a marketing executive who’s spearheaded some of the industry’s largest global marketing campaigns across digital, mobile, TV, print and experiential. I was the Chief Media Officer and eComm Officer at Mondelez International, and I led global marketing for PepsiCo, Weber Shandwick and Ruder Finn Interactive. Having access to my network has been pivotal to my success and growth and enabled me to rise the corporate ladder as one of the youngest C-Suite executives. So much so, that I no longer work for the industry’s largest companies. A few years ago I decided to leave my job as Chief Media Officer at Mondelez and start a TV show with LeBron James and Maverick Carter called “Cleveland Hustles.” The premise was a Shark Tank style show to bring together local entrepreneurs in Cleveland and open new businesses and promote change and growth in the area. Provide open access to my network and take you along with me as I speak at and attend different events. And introduce you to as many CEOs, entrepreneurs, investors and influential thinkers whose ideas can inspire you to think differently and grow your business. I want to provide you with a platform to learn and grow your business. I want to help you create jobs by knowing how to invest in your business, how to grow your business, and how to challenge yourself to work smarter and better. Ultimately I want to provide advice, ideas and access to anyone trying to grow a business. Whether you’re an entrepreneur, running a small (or large) business, or you work inside of a large organization, in order to provide them them the same access I’ve had in my career. I’ve learned a lot in the past two decades while marketing for the largest companies on the planet. I think there’s a need for everyone, especially small business owners and entrepreneurs, to access information for free, in order to learn and inspire you to grow your business in new ways. I want to provide a place that inspires you to think differently. Public speaking inspires me to think differently, because I get to hear new ideas and concepts from people who have heard me speak. I hope the B-Suite can be that inspiration for you. To inspire you to reach out to others, to network, to challenge your thinking, and to help you grow your business.